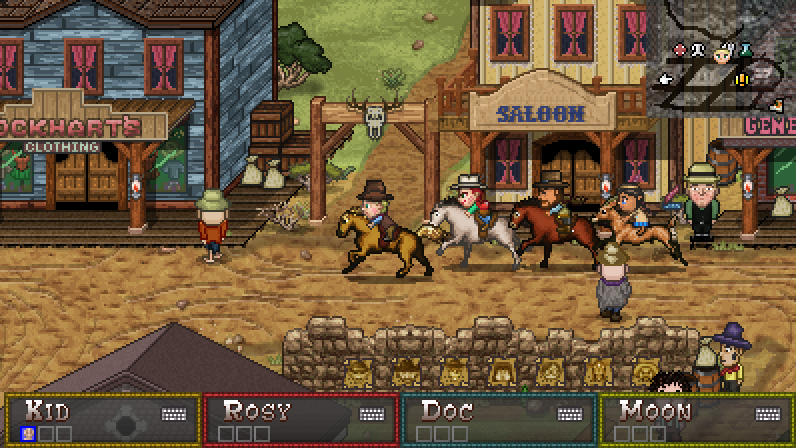 Some time ago I made the braggadocious claim that Boot Hill Bounties was one of the largest 2D RPGs ever made. Not that having a lot of content necessarily makes for a good game, but I do think this is something I want to celebrate. But how do you define how big a game is? The hours it takes to complete? I don’t think so. So far, estimates are between 20-30 hours. I wanted to deliver fresh content at a rapid pace to the player. For example, you almost never fight the exact same battle twice. So how can we define the size of the content. Here are a few metrics to consider. Word Count = 110,000 – This is the total word count of the script including extraneous content from the newspaper and item descriptions. For a good comparison, according to this site Final Fantasy 3/6 has 43,000 words and Final Fantasy 10 has a comparable 110,000 words. Characters = 350 – Basically a rough estimate of the number residents in Bronco County. I tried not to include farm animals here. 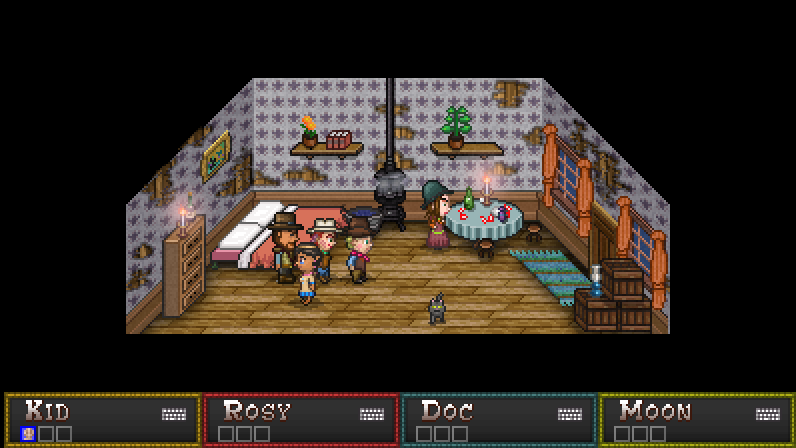 Locations = 250 – These are the “rooms” in the game including an exterior room like a forest of the town of Swellsville. Enemies – 250. 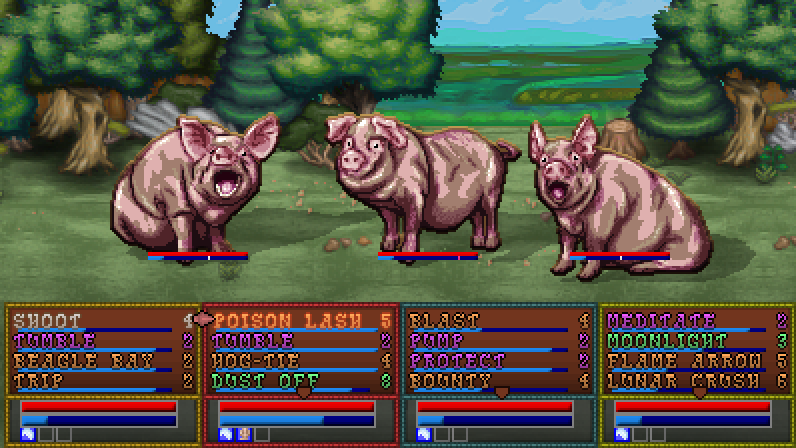 This doesn’t include enemies from Boot Hill Heroes but it does include any palette swaps and also same species enemies like these three pigs here. Vantages = 250 – Vantages are the various actions you can do in battle and each have their own animation as well. 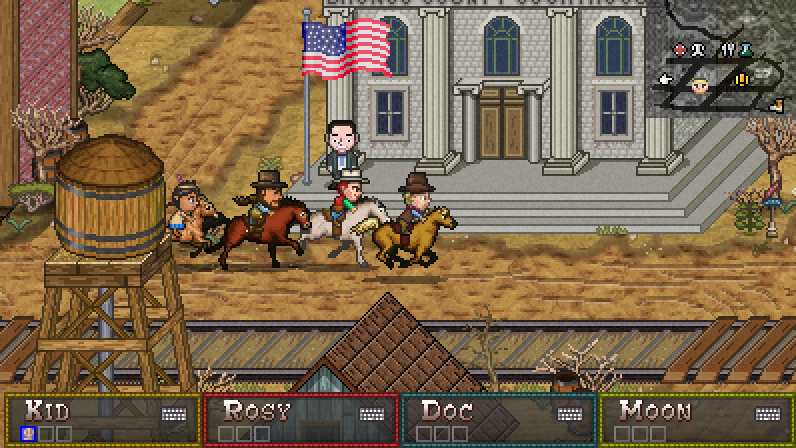 These vantages do include those from Boot Hill Heroes, so there are probably 150 new Vantages. The player characters themselves learn about 150 of these vantages. Items = 400 – All weapons, armor, treasure, food, etc. 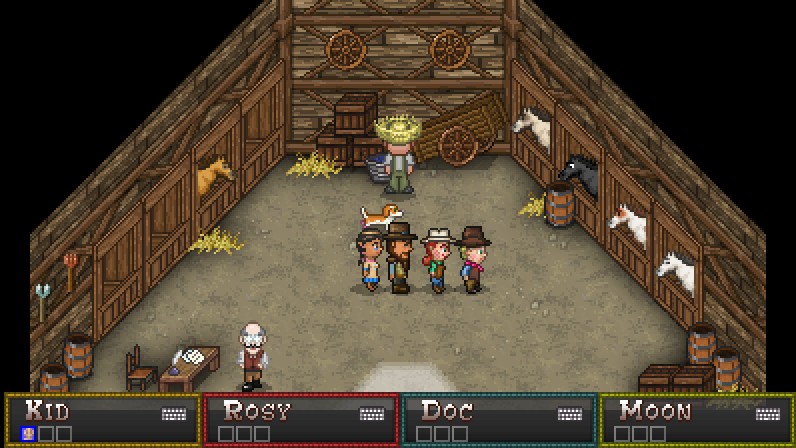 This includes anything Boot Hill Heroes as well but probably 300 or so items are new. 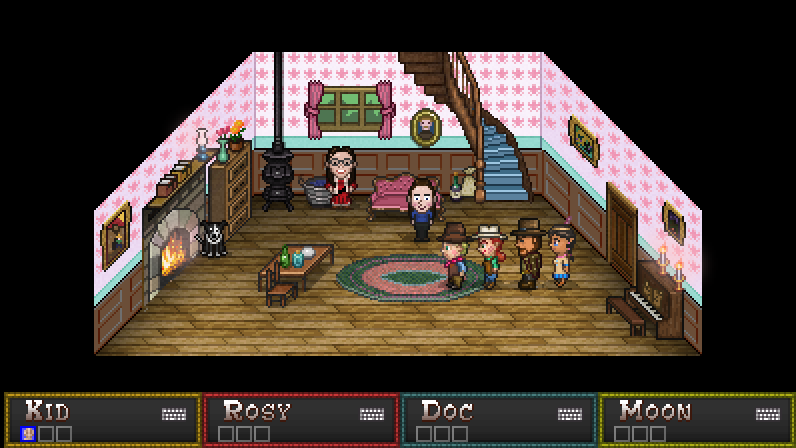 Despite all this content, Boot Hill Bounties is not an extremely long RPG. I don’t think players want to invest hundreds of hours into a game like this these days. Some games are built to be played for countless hours, others are meant to deliver a great experience in a short spurt. This is the latter. That wraps up this week. Only two weeks left before release. Are you ready?